One of the most recognisable comics characters in the world, the Batman was created in 1939 by Bob Kane and Bill Finger for America’s DC Comics (or rather, for the company which would become DC Comics). Though American by birth though, the darknight detective quickly became an international superstar, and reprints of his adventures have been published in Britain in various titles and by various publishers since the 1950s, from the Batman newspaper strip appearing in Smash! (one of the Odhams Power Comics line better known for their reprints of properties like Spider-Man from DC’s principal rivel. Marvel Comics) to solo Batman titles from London Editions Magazines, Panini and Titan Magazines. 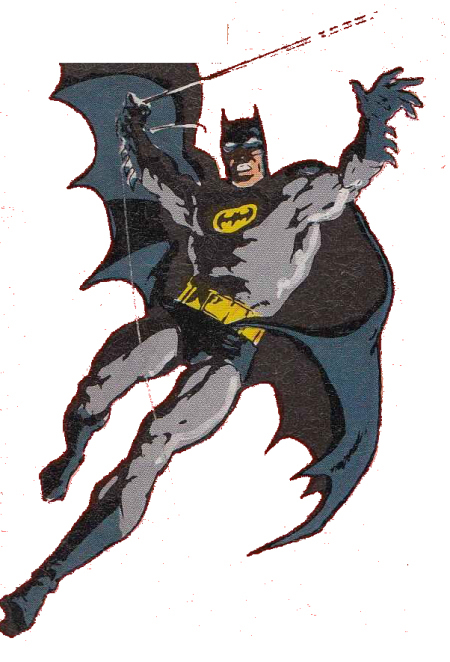 The caped crusader has also frequently featured in titles shared with other DC stars such as Superman, Justice League Legends, The Super Heroes Monthly and Heroes, and many British publishers have produced various Batman Annuals. In the 1990s, he teamed-up with Britain’s own Judge Dredd on several occasions. Please follow blue links to individual titles’ pages. Some of the files in the Batman Presents rar are misnamed. The Atlas Batman is actually an Australian comic, not British. Batman Monthly Presents 01.cbr is actually Batman Presents The Penguin (which was the third special before the actual Batman Monthly Presents series started). Batman Monthly Presents Winter Special is the (unnumbered) first issue of Batman Monthly Presents. Thanks for the information, i will place this on the page permanently so everyone can see what is wrong here and they can rename the files into the correct ones. No problem, thanks. I just saw Batman meets Dr. No-Face is allready in the World Adventure Library, but how could you know.